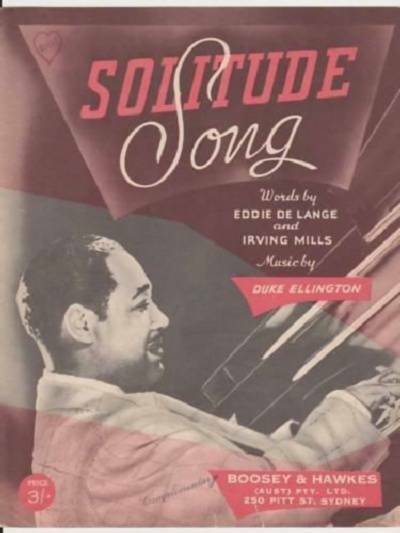 One of his masterpieces, Ellington is said to have written “Solitude” in twenty minutes at the recording session, as they were one number short (Ted Gioia in Jazz Standards). It’s a very strong song for both vocalists and instrumentalists. Ellington made over a hundred recordings of this song. Other great recordings include those by Paul Robeson, Ella Fitzgerald, Billie Holiday and Billy Eckstine. Solitude was recorded on December 30, 1958 and released in 1959 on the album In Person! . It was arranged by Ralph Sharon. “Solitude” was recorded live at Tony Bennett’s concert at Carnegie Hall on June 9, 1962 and was initially released in 1962 on the album Tony Bennett at Carnegie Hall. Ralph Sharon arranged the song. “Solitude” was recorded in June 1996 and released in 1997 on the album Tony Bennett On Holiday. It was arranged by Jorge Calandrelli.